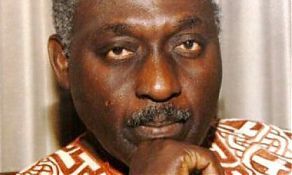 The African poet and novelist Kofi Awoonor has died aged 78 in the terrorist attack by al-Shabaab militants at the Westgate shopping mall in Nairobi. Awoonor was the most eminent of several African authors invited to participate in the Storymoja Hay festival, a celebration of writing and storytelling, in the Kenyan capital last week. His work was deeply rooted in the poetic and mythic traditions of the Ewe people in Ghana. He was also a diplomat and political activist who spent some time in prison when the party he supported was in opposition. After graduating, Awoonor worked for the Ghana Film Corporation, where he soon became director. He also founded the Ghana Playhouse. In the 1960s he edited the literary magazine Okyeame and was an associate editor of the pan-African journal Transition. After the 1966 military coup which removed Ghana’s president Kwame Nkrumah from power, he spent several years in Britain studying for an MA in literature at the University of London and wrote radio plays for the BBC including Lament, a short, poetic and poignant drama. He then studied at the State University of New York at Stony Brook, where he subsequently became visiting professor in African literature and chairman of the comparative literature programme. In America, Awoonor published a second volume of poetry, Night of My Blood, and a novel, This Earth, My Brother… (both 1971). These works drew on Ewe oral traditions but also allude to Dante, Pablo Neruda, TS Eliot and European writers. The novel intersperses intensely lyrical passages with a realist narrative contrasting the corruption and disillusion of contemporary Ghana with the idealism that characterised the early years of independence. A slightly ambivalent preface by Chinua Achebe comments on its “rather unusual and highly personal form” and the novel’s success in presenting an allegory of betrayal of trust and responsibility in Africa’s newly independent states. Slandered me, in your ugly missionary voice. I would have broken your bones across my knees. and a battered copy of The Pilgrim’s Progress. The title of another poem in the collection, On Having Been an Experimental Sacred Cow for Four Years, and a Token African on Faculty, indicates Awoonor’s reason for leaving the US and returning to Ghana in 1975. As he demonstrated in his influential history of African literary traditions, The Breast of the Earth (1975), his research interests were focused on the links between African vernacular traditions and the written literature emerging from the continent. Awoonor returned to become head of the English department at the University of Cape Coast. Shortly afterwards he was arrested on a charge of aiding someone accused of involvement in an attempt to overthrow the military government. Awoonor was imprisoned without trial for nearly a year. From this experience came a fine volume of prison poems, The House by the Sea (1978). During the next decade his energies were mainly focused on politics. He published Ghana: A Political History from Pre-European to Modern Times (1990), served as ambassador to Cuba and then Brazil, and was appointed by President Jerry Rawlings to be Ghana’s ambassador to the United Nations (1990-94). He was an active member of the party founded by Rawlings, the National Democratic Congress. During this period he also published two more volumes of poetry and a satirical novel, Comes the Voyager at Last (1992), mocking among others his fellow Ghanaian novelist Ayi Kwei Armah. One of the foremost literary critics of African and European poetry, Robert Fraser, has commented on Awoonor’s “superbly flexible muse”. Ghana’s president, John Mahama, called him “a writer, politician and traditionalist with great wit”. Awoonor had six children; one of his sons was injured in the attack.